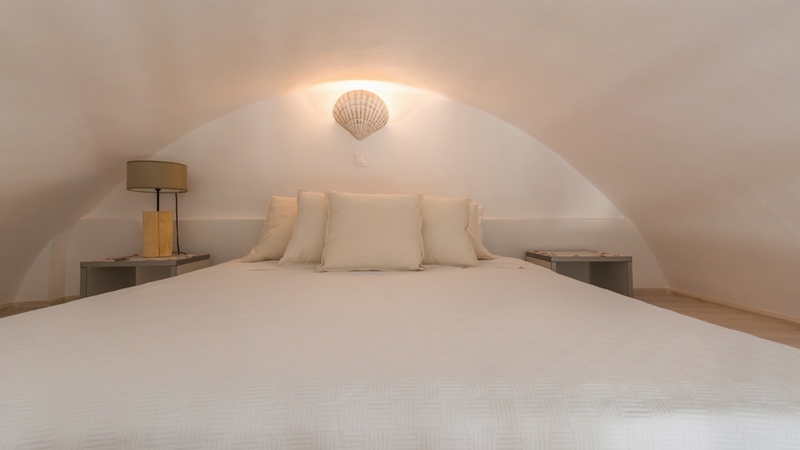 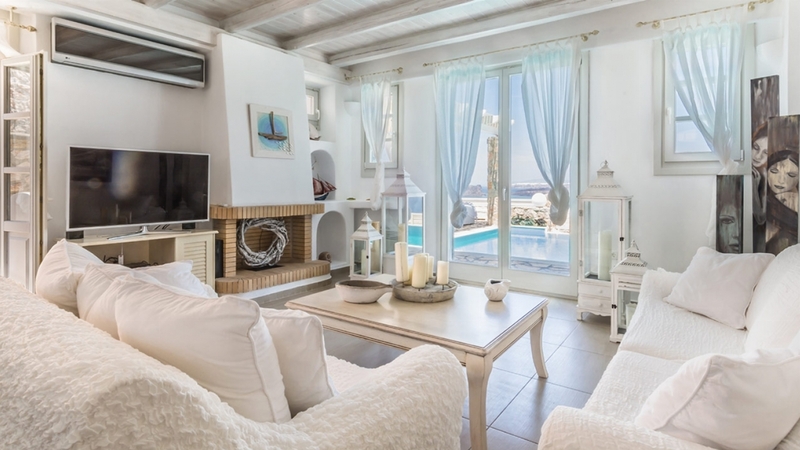 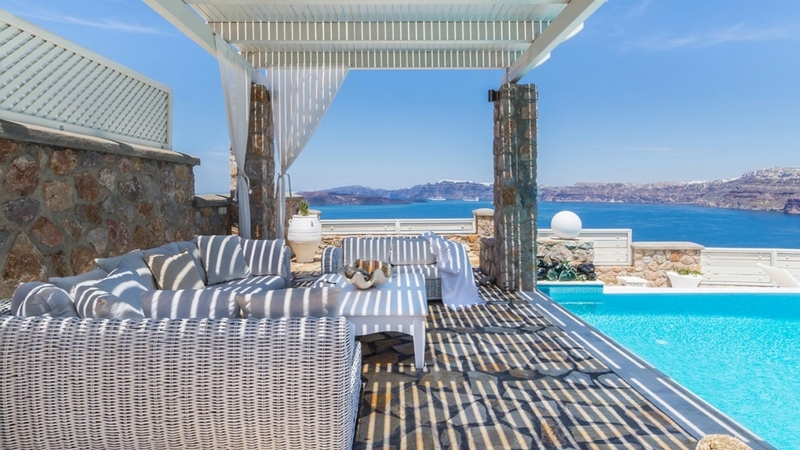 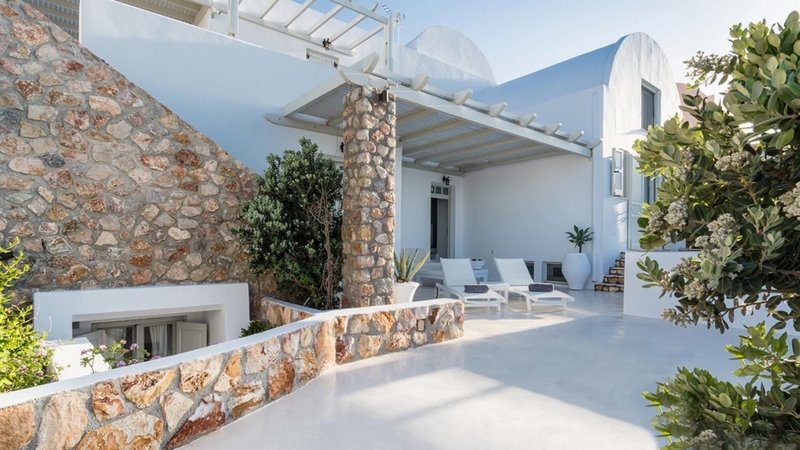 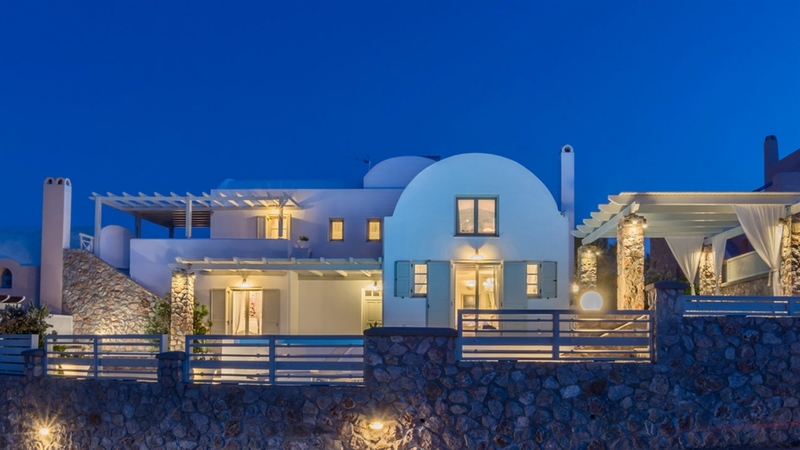 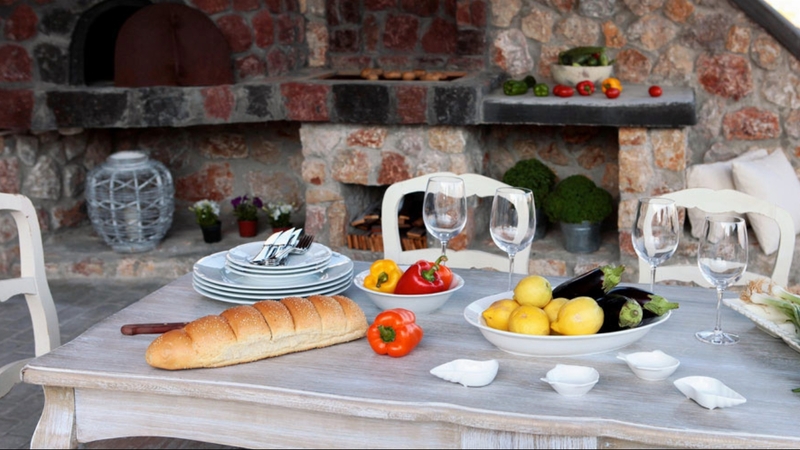 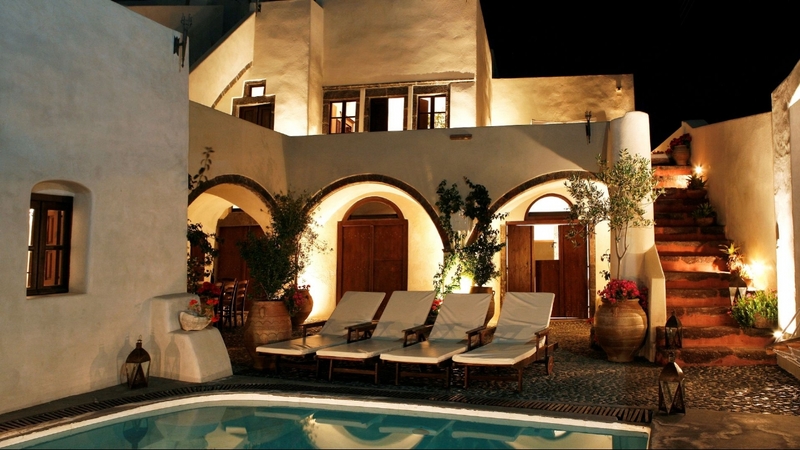 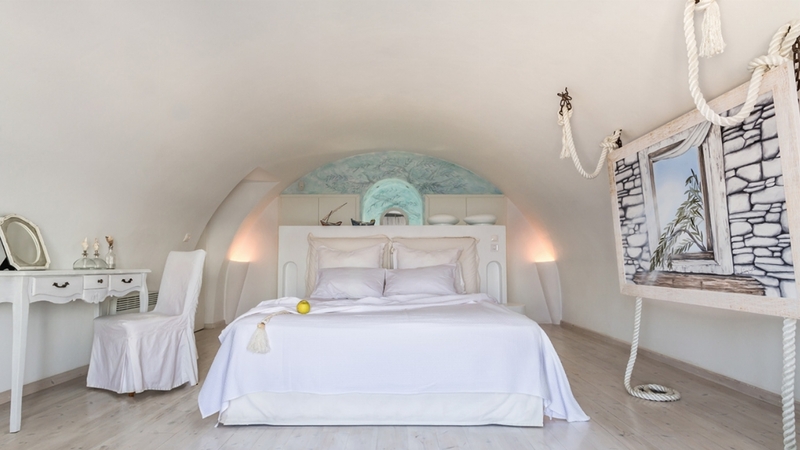 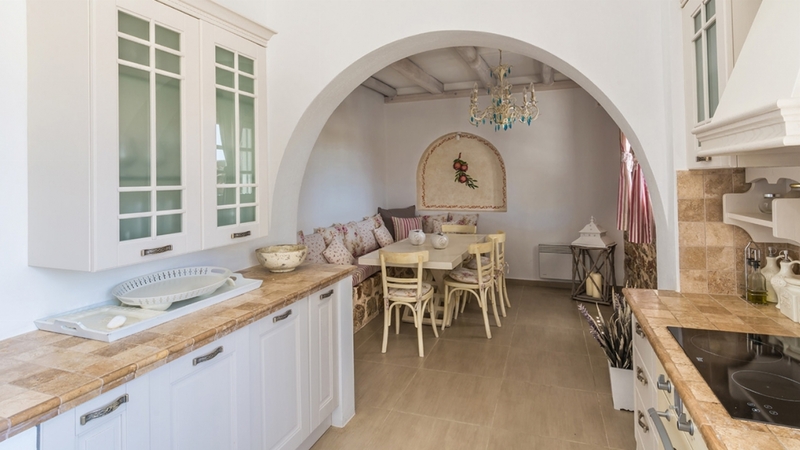 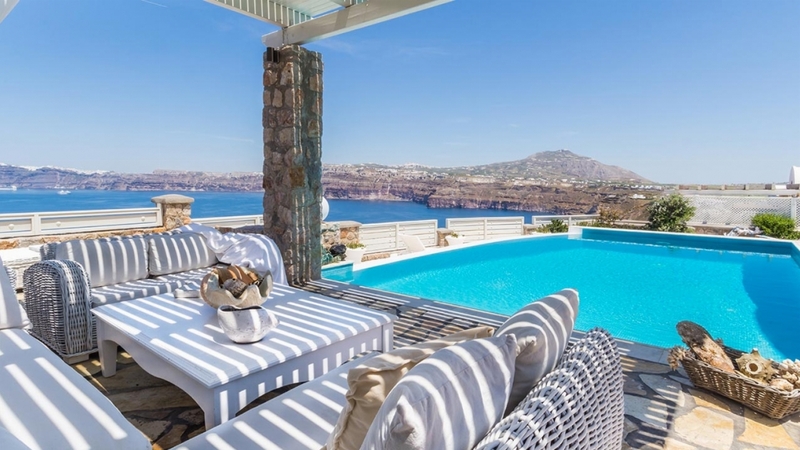 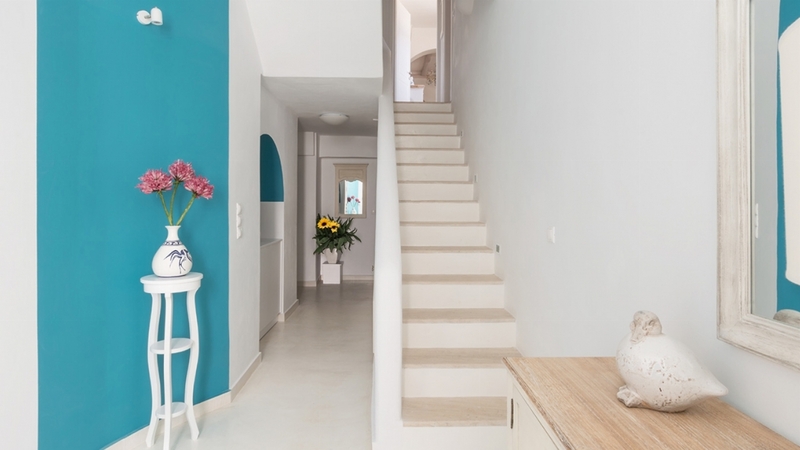 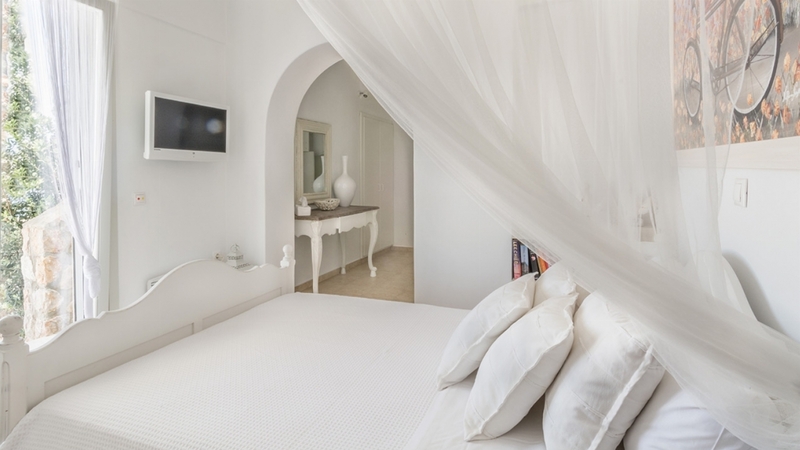 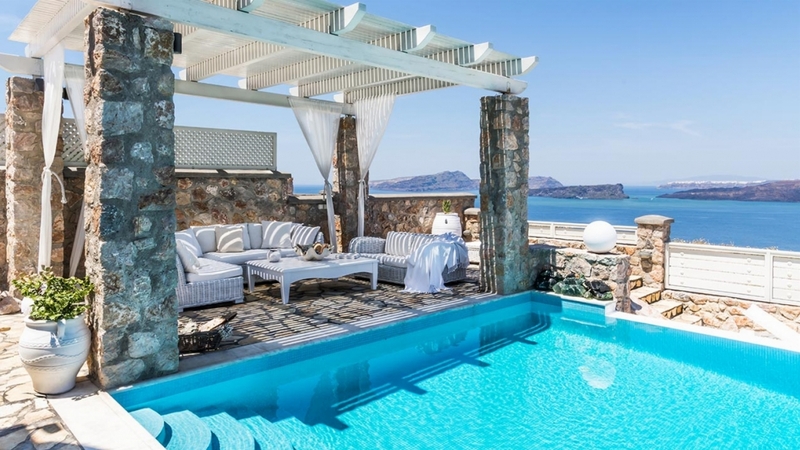 Villa Michaela is situated in Akrotiri, a quiet, picturesque village in the south part of the island, away from the crowds that flock to the northern towns during peak season. 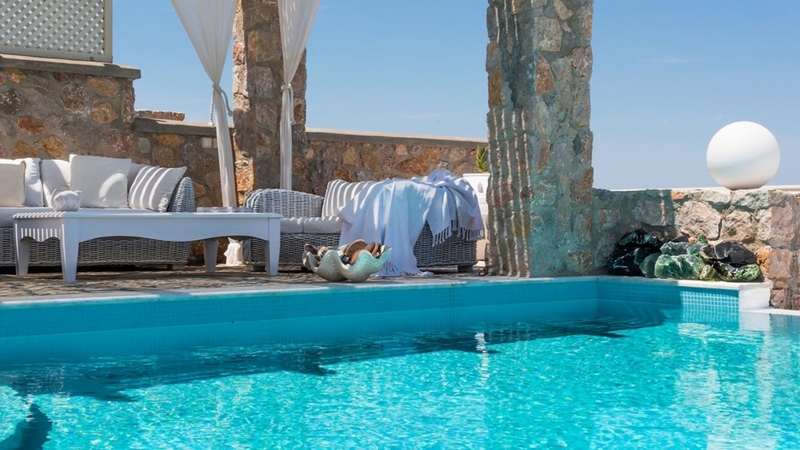 Set next to a Minoan bronze age settlement and connected to the myth of the legendary Atlantis, the area offers both great archaeological interest and inspiring sceneries. 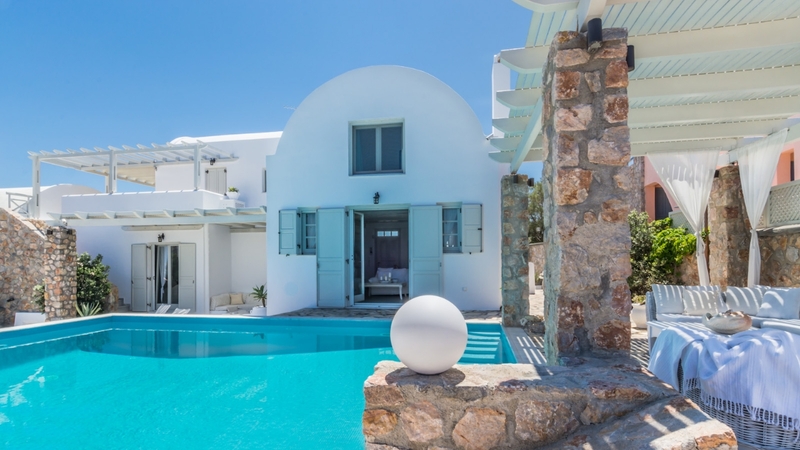 The 5 bedroom residence is built in three levels and fitted with comfortable verandas fully equipped for outdoor living -there are shaded and open sky lounge spots, a comfortable dining area with a traditional wood oven and a generous swimming pool, all with panoramic vistas. 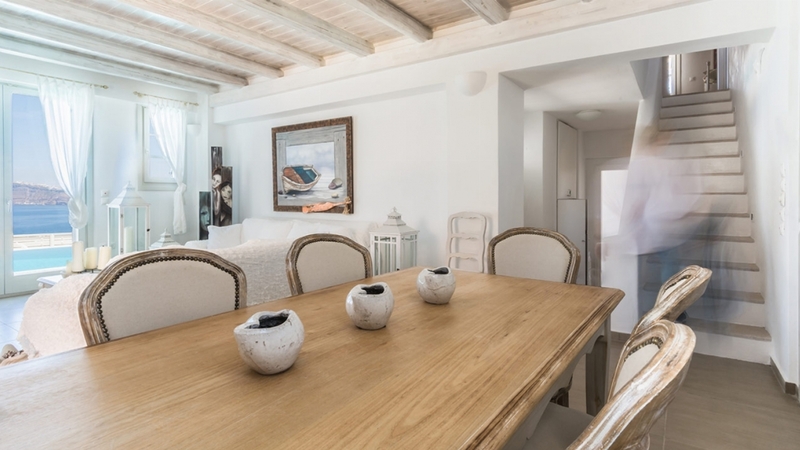 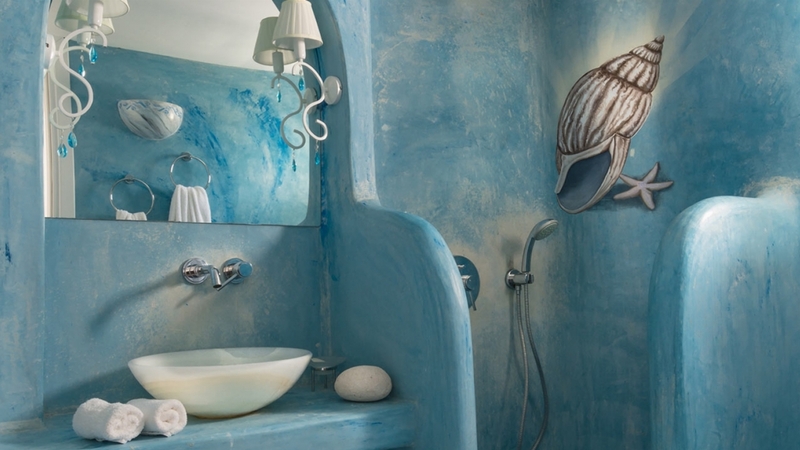 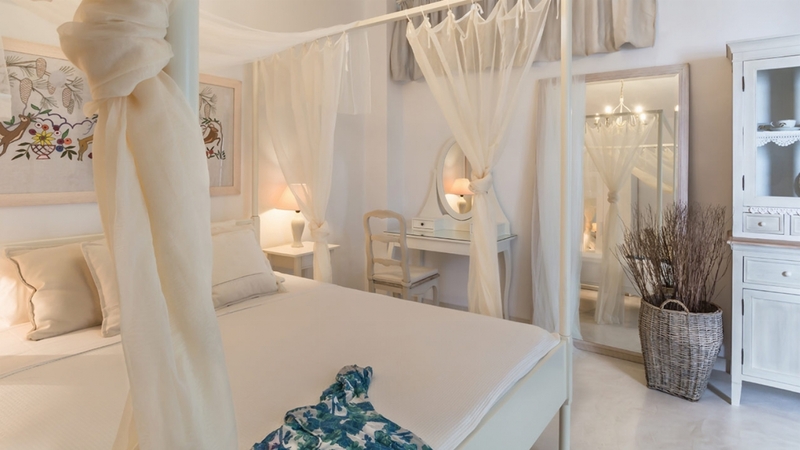 The interior is bright and airy, furnished with vintage, island-inspired pieces and decorated with a collection of colourful artworks and ornaments. 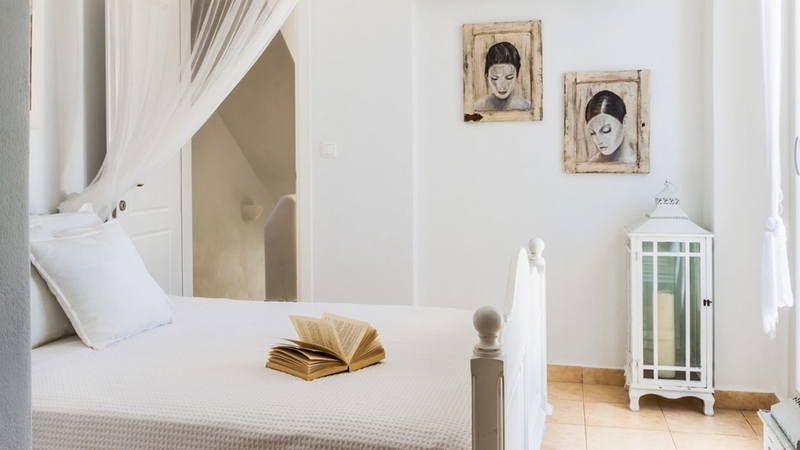 The mood is sophisticated yet comfortable and the palette in soothing tones of white beige to create a relaxing atmosphere. 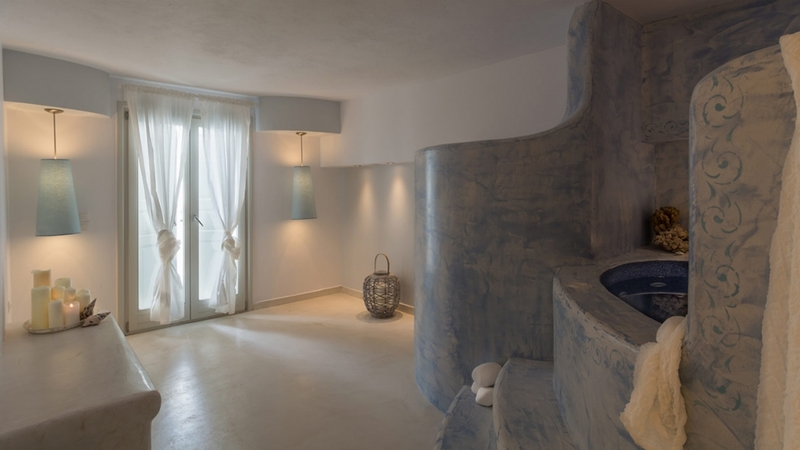 At the lower level, there is an indoor spa with a heated jacuzzi. 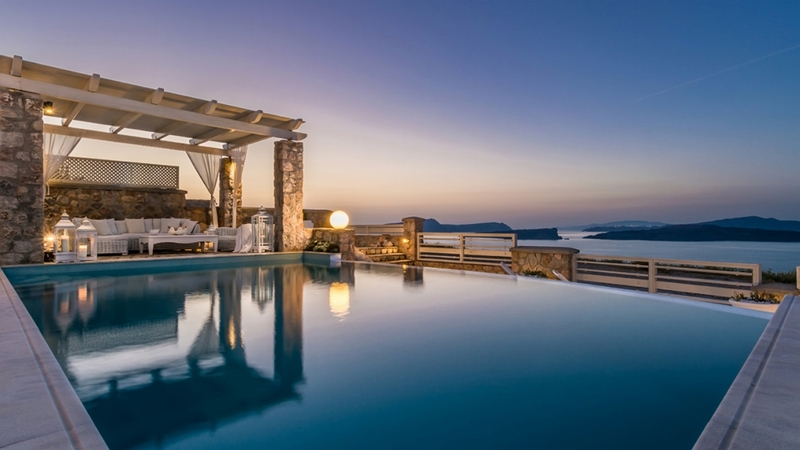 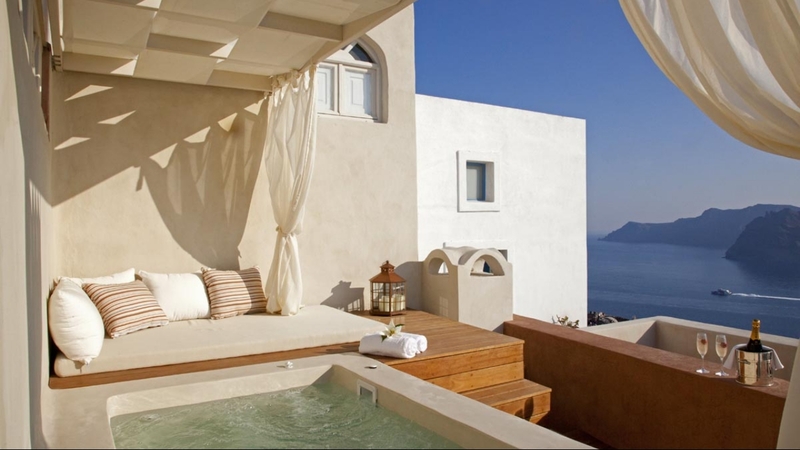 15 minutes drive from the capital of Santorini, Fira. 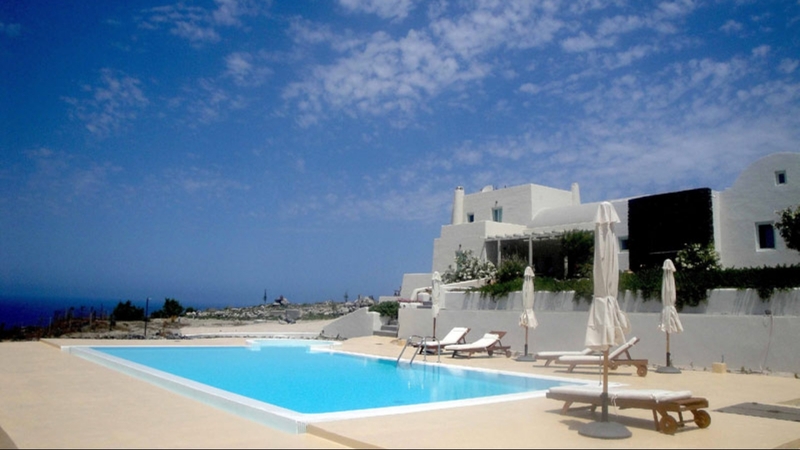 In Kamari and Perivolos you can find water sports, cafe, restaurants and beach bars.